Right now, ProductionNext is only intended for use on desktop browsers and iPad-sized tablets. We'll be dealing with the phone situation in the future; meahwhile, we hope to see you over on the desktop side! This is a group that is meant to serve as a general gathering place for ProductionNext members in the New York area. We here at ProductionNext are managing it at the moment, but we're very interested in finding someone local to run it. If you're interested, please contact us at groups@productionnext.com. Ben Yennie: New York Is Throwing Money at Film Shoots, But Who Benefits? Ben Yennie: The Empire State Department's diversity initiatives. You'll see summaries of group members' projects here when the groups' owners have made them availble to the group. Those members will see your project summaries here if you mark them as "public" or explicitly share them with this group. They will not be able to see any of your project plan's details, like scheduling, budgeting, and so on. 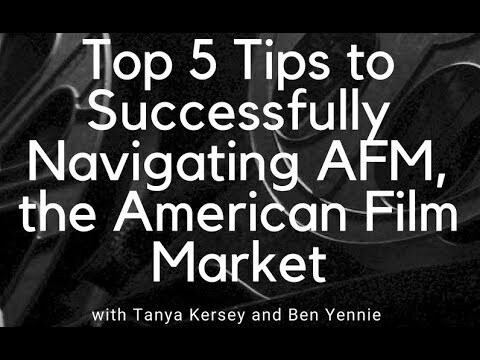 Ben Yennie: 5 Tips, Tricks and Tactics for Navigating the American Film Market. There are no scheduled future events for this group. There are no documents available for this group. When group members post questions, you'll see summaries of them here. Those group members will see your questions here if you mark them as "public" or explicitly share them with this group. When group members post ads, you'll see summaries of them here. Those members will see your ads here if you mark them as "public" or explicitly share them with this group.